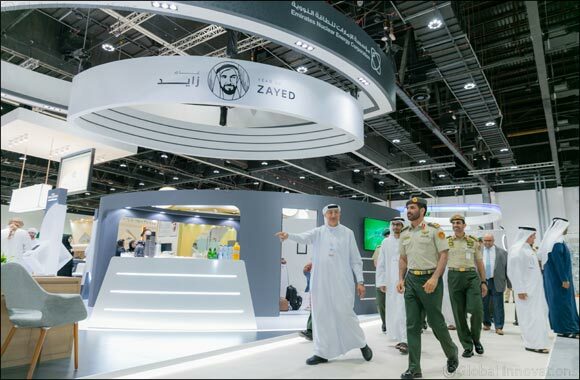 Abu Dhabi, UAE – 27 March 2018: The Emirates Nuclear Energy Corporation (ENEC) and its operating subsidiary Nawah Energy Company (Nawah) have offered a wide range of scholarships and showcased unique career opportunities to Emiratis at the National Service Career Fair, that took place at the Abu Dhabi National Exhibition Centre (ADNEC) between 25 and 27 March 2018. ENEC and Nawah presented a wide range of scholarship courses for Higher Diplomas in a variety of fields, for those who are interested in pursuing a career in nuclear energy. The UAE Peaceful Nuclear Energy Program offers an exciting, challenging and rewarding career. National Service graduates were given the opportunity to apply for a scholarship, and work towards delivering safe, clean, efficient and reliable electricity through nuclear energy to the UAE. The National Service Career Fair aims to open communication channels between graduates of the National Service program and exhibiting companies and institutions from both government and private sectors.